In doctoral studies doktorvater is a term for the direct supervisor who oversees your research and writing. It is not surprising that aspiring seminarians seek out a program based on the possibility of working under such a supervisor. For historically, it has often been the case that rising disciples take on the theology and ecclesial habits of their doktorvater. Sadly, in seminary life there are many students who go through their studies without such a ‘father in the faith.’ Paul House has written about this trend in contemporary theological education, and his book about Dietrich Bonhoeffer is aimed at correcting it. I am sympathetic to his argument, as my forthcoming book review at TGC will show. In what follows I want to consider once slice of what seminary training with Bonhoeffer might have looked like. For now, I am especially intrigued by the program of study instituted by Bonhoeffer. What would it have been like to have Dietrich Bonhoeffer as your doktorvater? 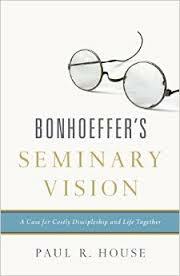 Based on Paul House’s book, Bonhoeffer’s Seminary Vision (44–45), here are seven things it might have entailed and what Bonhoeffer would have expected. All in all, the men whom Bonhoeffer sought to train were those who gave themselves to the Word and gladly submitted themselves to Christ, his church, and the pastors of those flocks. Moreover, in the face of Hitler’s reign in Germany, Bonhoeffer was looking for those men who would stand against the grain of national opinion. To be a servant in Christ’s church, Bonhoeffer believed one had to be an apt theologian, student of the word, and disciple of the church, while at the same time not seeking a position among the world. In historical context, the training Bonhoeffer offered only lasted a few years. Beginning in 1935, the Third Reich shut down his school in 1940. Because many of his pupils would be drafted into Germany’s army, most of them never reached the fields of pastoral service. Nevertheless, his labors were not in vain. His two most influential books, Life Together and The Cost of Discipleship, were born in these seminary years and addressed to men in seminary contexts. One can hope that in the days ahead, as theological education becomes more imperiled and the costs of pastoral ministry increase, more pastor-theologians will see the need for such educations models. Already, this trend is beginning in schools like Bethlehem Seminary and Beeson Divinity School. Without denigrating larger schools (of which I owe my whole theological training), it is my hope that schools—large and small—will take serious the call to develop godly servant leaders, not just enlist large numbers of graduates. Scripture reminds us that the qualifications for pastoral ministry are high (1 Tim 3:1–7; Titus 1:5–9), which means that the standards and structures for theological education should be equally high. Though this kind of standard may shrink enrollment, it may in the end raise up a stronger band of brothers. This, House argues, was Bonhoeffer’s vision for training gospel ministers, and it is one that we should seriously consider as we plan and pray to train the next generation. May God be pleased to raise up a generation of stalwart biblical stewards. 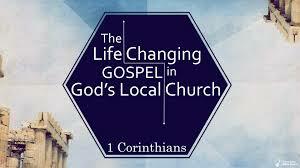 And may he at the same time, raise up local, pastor-led, church-centered theological schools to do such training. I’ve gotten out of the habit of curating and quoting other blogs recently. But as our church continues to look at Titus 1 and the role of elders in the church, I find David Murray’s post on 1 Timothy 3:1–7 extremely enlightening—especially, his final point. In numerical fashion, Murray lists ten realities about elders from 1 Timothy 3:1–7. 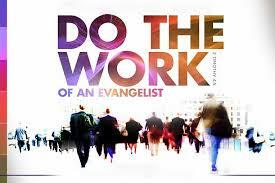 “Electing elders is an evangelistic act.” I couldn’t agree more, and I think it is an under-appreciated truth. To many, church leadership structures are a secondary or tertiary matter. In recent days, I’ve had more than a few comments downplaying the importance of leadership structures. Especially when a church is struggling or filled with strife, it is easy to think that revival or changed hearts is needed. There is no denying the need for repentance and reconciliation. But to dismiss the role elders (or the lack thereof) plays in church health misses much of what the Pastoral Epistles teach. Church health—and by health I mean ability to protect, proclaim, and display the gospel—is necessarily retained and promoted by true elders. And when the structure of elders is missing or leaders in the church are less than what 1 Timothy 3 describes, it should not come as a surprise that evangelism, church growth, and church health are all in decline. May God be pleased to raise up godly elders in your church and mine—not just for the sake of church leadership, but as David Murray reminds us, for the sake of evangelism too.